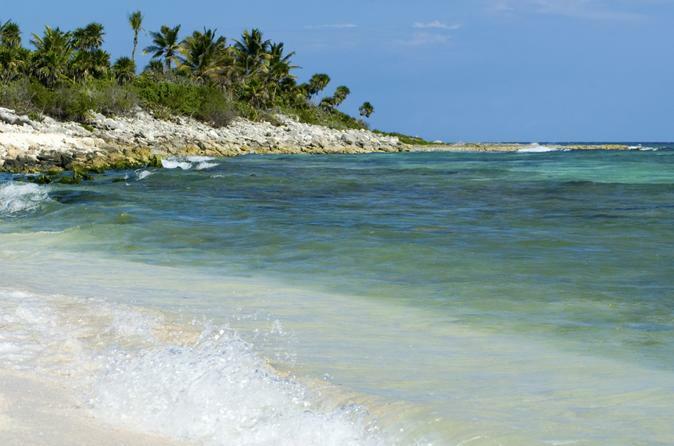 Enjoy the perfect combo of guided activity and free time on this day trip to Cozumel Island. Delight in sighting angelfish, turtles and other marine life during a snorkel at one of the many coral formations surrounding the island. Then, with the help of an in-the-know guide, spend your remaining time discovering unique shops, secluded beaches, jungle trails — or, simply stretch out on the beach and admire the turquoise Caribbean. Lunch, select drinks, and round-trip ferry and hotel transport from Playa del Carmen are included.